British Virgin Islands, 20 July, 2017 – BVI Finance’s Board of Directors is pleased to announce the appointment of Elise Donovan as the company’s new CEO. Donovan currently serves as Director of BVI House Asia, the British Virgin Islands Government’s representative office in the Asia Pacific Region, and is expected to come directly from that position to take up the role as BVI Finance’s CEO on October 1st 2017. In her role as CEO, Donovan will lead BVI Finance in continuing to market, promote and manage the reputation of the BVI’s financial services industry. She will be replacing Lorna Smith, OBE, who is returning to her consulting firm, LGS and Associates. 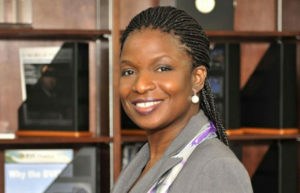 Donovan brings with her a wealth of knowledge and expertise, including having previously served as Director of the BVI International Affairs Secretariat, Executive Director of the BVI International Finance Centre (the forerunner to BVI Finance) and a member of the BVI’s Tax Information Exchange Agreement Negotiating Team with countries such as China, the United Kingdom, France, Australia, New Zealand and Canada. Donovan also holds Bachelor’s and Master’s degrees from Carleton University and Columbia University. Commenting on the appointment, Kenneth Morgan, Chairman of BVI Finance said, “BVI Finance is delighted to appoint Elise Donovan as CEO and we are especially excited to have someone of such high calibre leading the voice of the BVI’s financial service sector. report. Given her experience and ability, I have no doubt that Elise will further strengthen our efforts in this. The Government of the Virgin Islands will announce Donovan’s successor in due course. BVI Finance is responsible for marketing and promoting the BVI’s financial services industry. More information can be found atwww.bvifinance.vg, by contacting info@bvifinance.vg, or by following BVI Finance on Facebook, Twitter and LinkedIn.